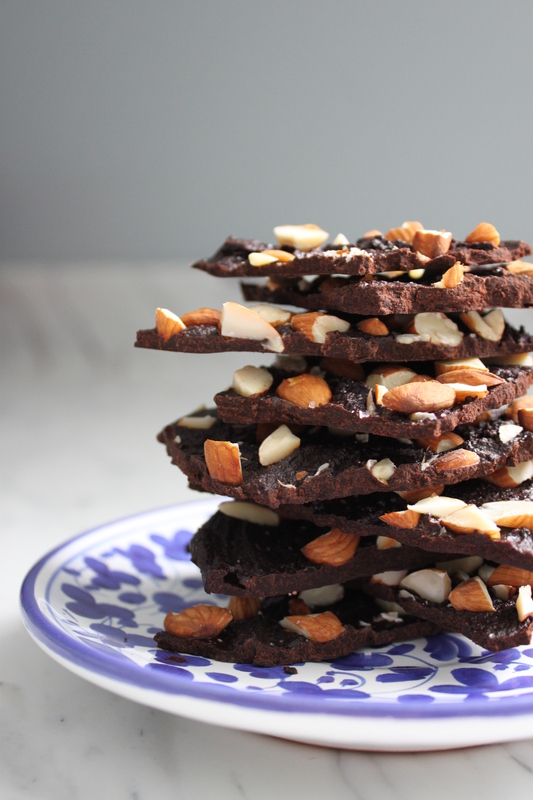 Whip up a batch of this Chocolate Almond Bark with Sea Salt and pop in the fridge for a quick fix! In a small saucepan over medium heat toast the almonds. (Move them around periodically so they don’t burn). Roughly chop the almonds. Melt the coconut oil in a small saucepan over low heat. Slowly add the cacao powder and maple syrup whisking to combine. Remove from heat and let cool for a couple of minutes. Line a baking sheet with parchment paper and pour the mixture on top. Sprinkle toasted almonds on top and a pinch of sea salt (more or less to your liking). Put in the fridge for 3-4 hours, then break apart into pieces. Store in the fridge for when that craving hits! These jars are so versatile and great to prepare in the evening (all of 5 minutes) and pop in the fridge for breakfast the next morning. 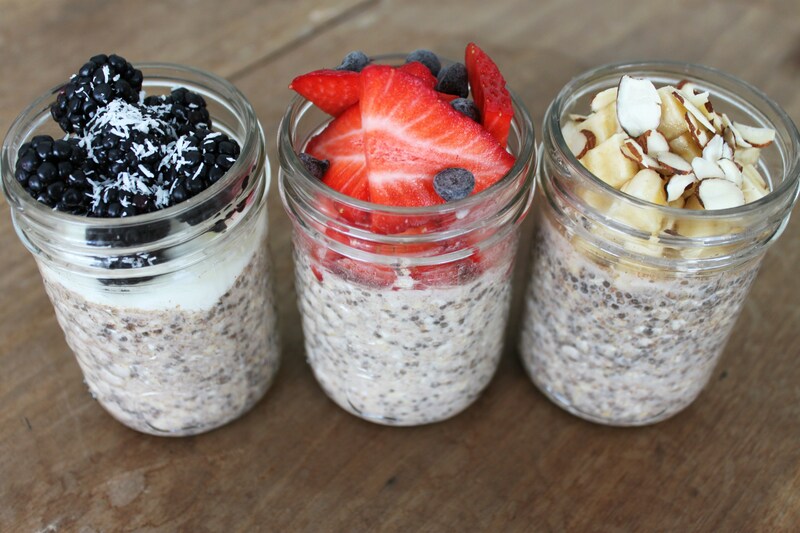 It starts with a base recipe in a mason jar and you can add whatever toppings you like. These are a staple in our house and make mornings a little less hectic! My toddler loves these. Combine all ingredients in the jar, pop on the lid and shake to combine. Put in the fridge overnight. In the morning pop off the lid, throw some of your favourite toppings in and grab a spoon! That’s right….we eat ours right out of the jar. Easy. Simple. Some topping ideas include: Greek Yogurt, Blackberries & Shredded Coconut, Strawberries & Dark Chocolate chips and Banana & Sliced Almonds. The possibilities are endless. Get creative!